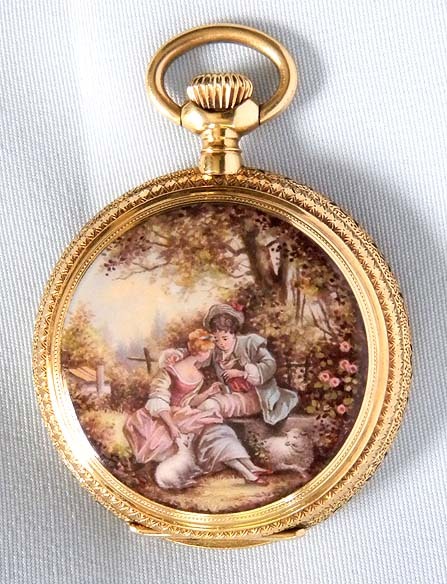 Fine Swiss 18K gold and painted enamel antique ladies pendant watch circa 1890. 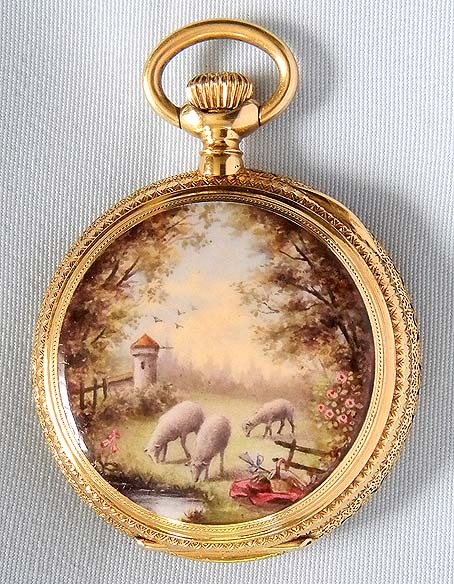 The covers beautifully enameled with a courting scene and a pastoral scene (typical fine scratches). Decorated and enameled band. 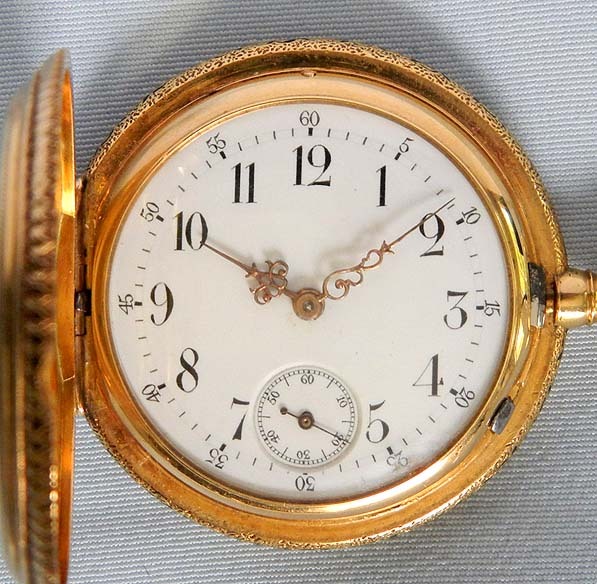 Fine white enamel dial with black markings and fancy gold hands. 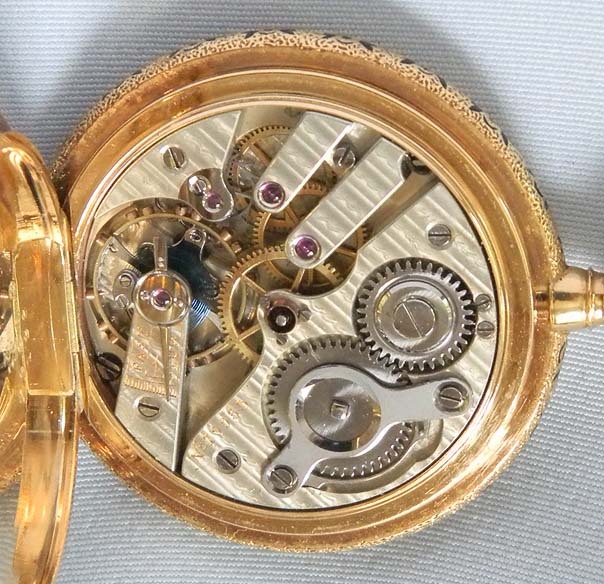 Fine 18 jewel nickel movement. Lovely.